You probably already know that you need to practice your putting if you want to shoot lower scores. Better putting isn’t just going to happen by accident, and you have to putt well in order to succeed on the course – there is no way to hide from that fact. Golfers who struggle with the putter are destined to leave the course feeling frustrated time after time. Even if you are a great ball striker, you have to figure out how to sneak in a few putts per round if you are going to reach your goals. One of the best ways to make more putts and shoot lower scores is to use a quality putting aid or two. There are countless practice putting aids on the market today, and we’ll be honest – a lot of them are useless. 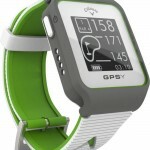 Plenty of people out there are simply trying to make a buck off of an unsuspecting golfer who doesn’t understand that their gadget or gizmo isn’t actually going to help them play better golf. However, for all the junk that is on the market, there are actually a few pieces of practice equipment that can really make a difference. Using one of two of these aids is a smart move, and you should find that you start making more putts in the near future as a result. Check out the following putting aids and pick out one which you feel will address your needs. Often, it is the simple devices that make the best training aids, and that is certainly true in this case. The Putter Wheel Golf Trainer is an extremely simple device, yet it is highly effective when used properly. This putting aid can be best described as a golf ball ‘with the sides cut off’. The ‘ball’ that is included with this product is roughly two thirds of a regular golf ball, and it will roll nicely towards the hole when it is placed up on its side. However, if you miss hit your putt at all, the ball will wobble and you will know that a correction is needed to your stroke. 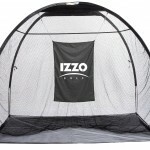 Also included with this product is an alignment template that you can use to draw guide lines on your regular golf balls for use on the course. Most golfers understand that they need to strike the ball cleanly with their long clubs in order to achieve good results, but few understand how that same need translates to the putting stroke. If you miss-hit your putts, the ball is unlikely to go in. A solid strike into the back of the ball, however, will help your putts hold their line – meaning they are going to fall into the cup more frequently. 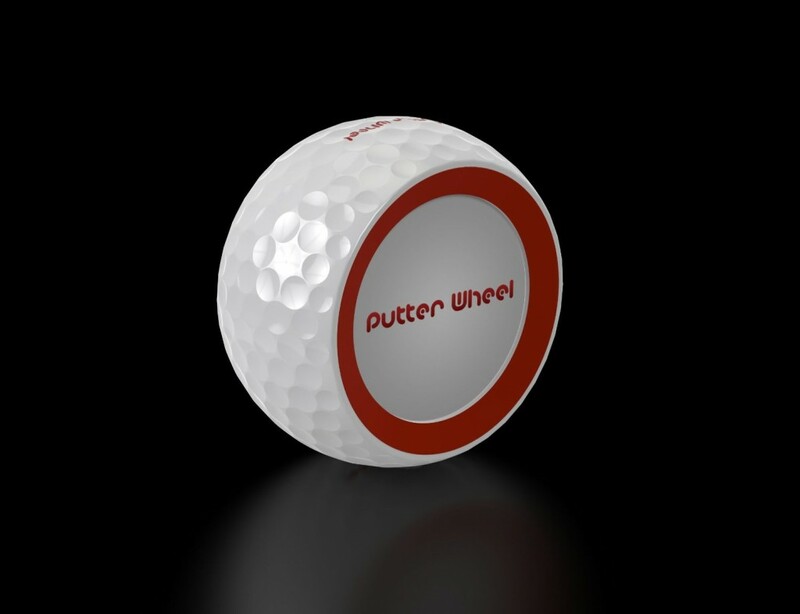 Put the Putter Wheel Golf Trainer to use in your own game and look forward to impressive results on the greens. You know what we said above about good training aids being simple? Yeah – that doesn’t apply to this next entry on our list. However, despite the fact that it is rather complicated for a training aid, it is certainly capable of getting the job done. In fact, as far as putting aids go, this one is about as useful as they get. The True Pendulum Motion unit has been used by players at the highest levels of the game, and it can help your stroke just as it has helped those top players. One of the keys to making a great putting stroke is the ability to rock the putter back and forth in a pendulum motion – meaning the hands and wrists stay out of the stroke while the shoulders and arms do most of the work. This is a concept that is difficult for most amateur players to grasp, but the TPM product will make it easier for you to feel how this kind of stroke is supposed to work. This product attaches to your regular putter, so you can use your own club while learning the feel of the proper putting stroke. This is an aid that comes in on the higher end of the cost scale, but countless players swear by its effectiveness. If you are serious about making more putts, give this product a look for yourself. This product takes a big of a different approach to the challenge of improving your putting performance. Rather than addressing the mechanical elements of your stroke itself, this product is going to give you new targets to aim at during practice sessions. Speed control is the name of the game when putting, yet many golfers become too obsessed with the line of their putts to worry about the speed. With these targets placed down on the practice green, you won’t be able to make that mistake. Basically, this product forms a 3’ circle around the hole that you can use for target practice. For putting, the 3’ circle is perfect for leaving your ball within tap-in range. 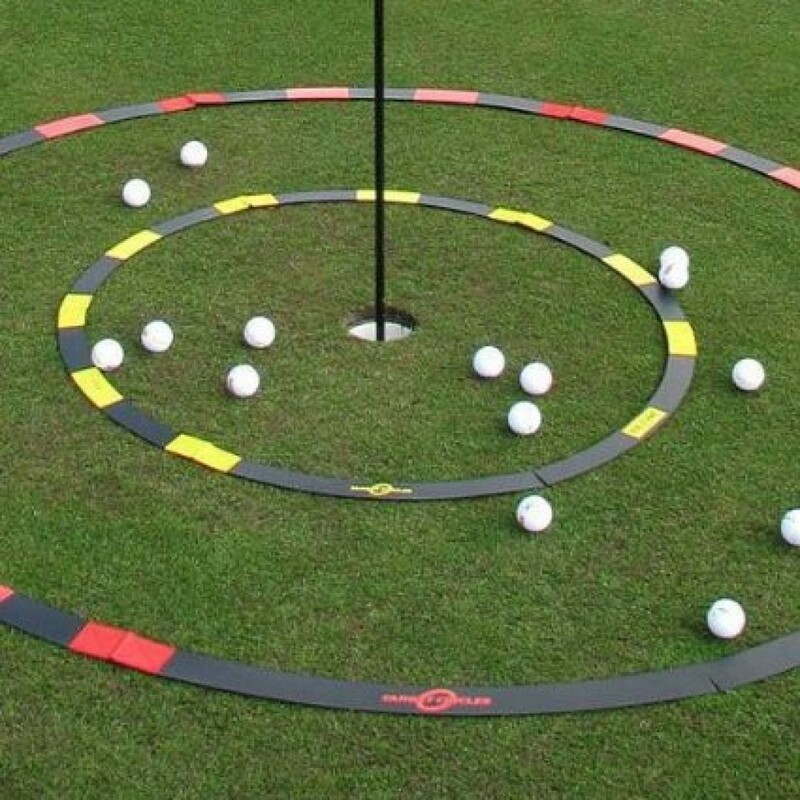 Place the three-foot circle on the ground around a hole on the practice green and then set yourself up for some long putts from across the green. As long as you can lag the ball within the three-foot circle around the hole, you will know you have done your job. Leaving your first putt outside of this target will put you at risk of three putting, which is never a good thing. If you would like, you can also use this target for your chipping practice as well. If there is one putting tip that could benefit the average golfer more than any other, it is this – the ‘center’ of the hole is not always found on a direct line between your ball and the cup. Rather, the ‘center’ of the hole (in your mind) should be moved depending on the slope of the green. As the ball breaks left to right or right to left, it is going to come in from one side or the other. That means, when you are aiming your putt, you should not be looking at the front edge of the hole, but rather the side of the hole where a breaking putt will be coming from as it rolls. This is a bit of a tricky concept, but it is extremely important in the pursuit of good green reading and better overall putting. 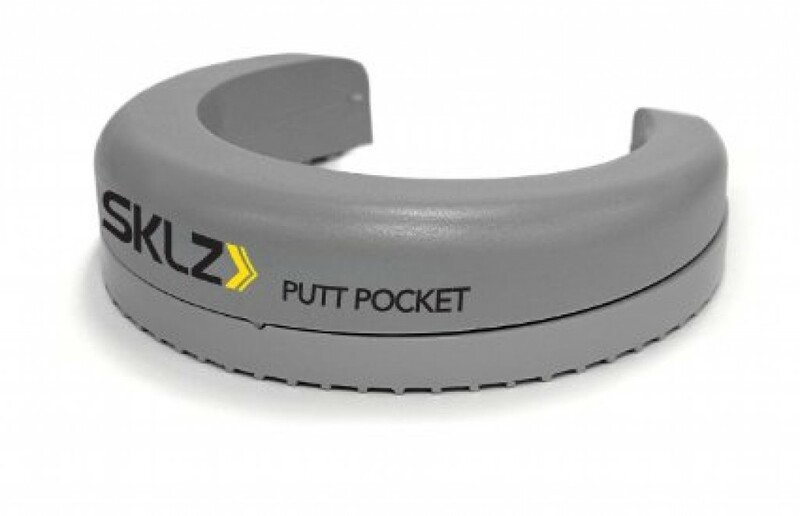 Now that you have that concept in mind, you can be introduced to the SKLZ Putt Pocket Training Aid. This device is designed to fit into any regulation golf hole, and it will effectively ‘close off’ most of the hole except for a 2.75’’ cap that acts as your target. If you can roll the ball through that opening, you can make the putt. The idea is that you can position this opening on any side of the cup that you wish, based on the slope of the ground. This will give you a great visual guide as to where you should try to make your putts – rather than always aiming for the front edge. 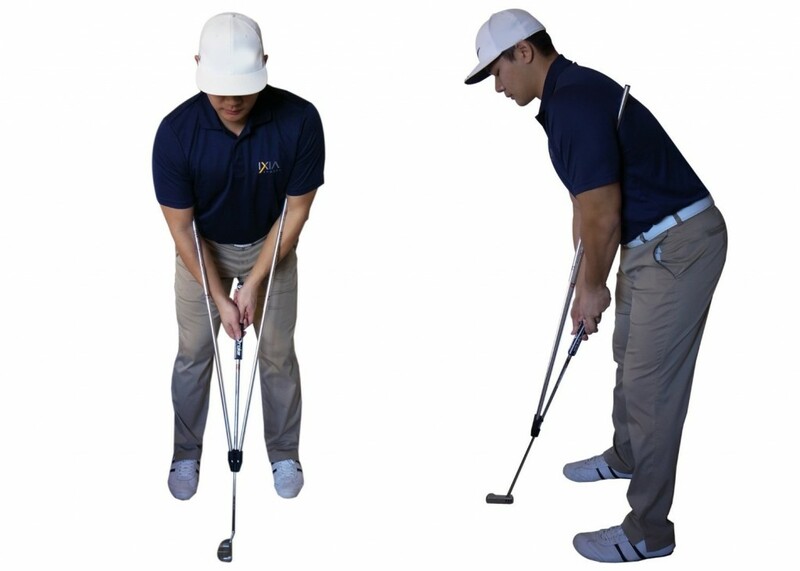 Use this aid as part of your regular practice routine and you should quickly gain an understanding for how altering your aim slightly can lead to many more made putts. Putting aids can be useless – or they can be incredibly valuable. The four items on our list above are all worth your attention, despite the fact that each goes about improving your putting in a unique manner. Add one of two of these pieces of gear to your golf collection and get down to work on becoming the best putter you can be.